Do you plan to stay in Dakar for several days? You will be amazed by the cultural diversity offered by the capital: such as its historical and natural sites considered as World Heritage by UNESCO, its authentic fishing villages, its lively markets, and its exciting nightlife, Dakar combines authenticity and modernity. Located along the Atlantic coast, the city has many beaches available for a moment of relaxation and fun. Finally do not hesitate to discover the “Senegalese gastronomy” that will make your mouth water. 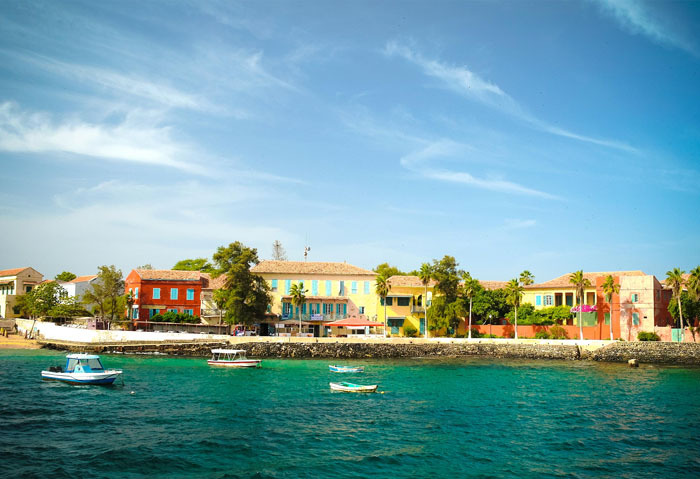 Located a few kilometers from Dakar, Gorée Island is a place full of history. A huge number of slaves were shipped to the American continent from the port. Place of pilgrimage, Gorée offers a beautiful sight of several museums and colorful houses that tourists could discover while strolling through the alleys of the island. 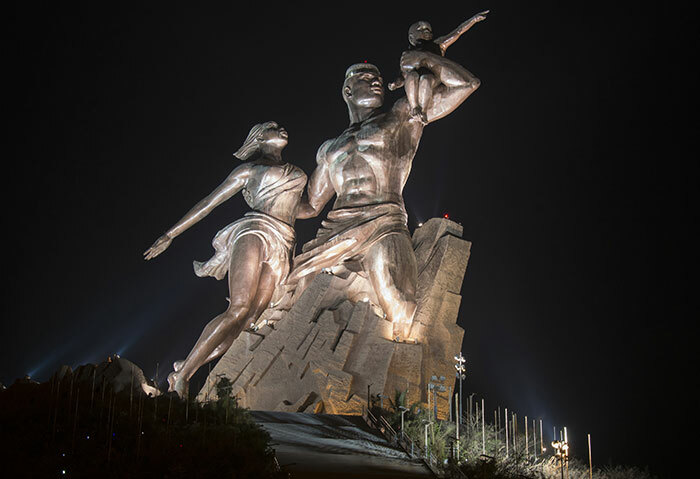 The 52 meter-high African Renaissance Monument Statue (higher than the Statue of Liberty), is located on top of one of the twin hills known as Collines des Mamelles. Built overlooking the Atlantic Ocean it offers a breathtaking view of Dakar peninsula bay.